The team - at Universite Sorbonne Paris Cite - used food surveys on two days to work out what people were eating. The researchers concluded: "These results suggest that the rapidly increasing consumption of ultra-processed foods may drive an increasing burden of cancer in the next decades." But they said the findings need to "be confirmed by other large-scale" studies and research was needed to establish what could be behind the link. While the researchers did adjust their analysis for this they say their impact "cannot be entirely excluded". Prof Linda Bauld, Cancer Research UK's prevention expert, said: "It's already known that eating a lot of these foods can lead to weight gain, and being overweight or obese can also increase your risk of cancer, so it's hard to disentangle the effects of diet and weight." Overall she said the study was a "warning signal to us to have a healthy diet" but people should not worry about eating a bit of processed food "here and there" as long as they were getting plenty of fruit, vegetables and fibre. Dr Ian Johnson, from the Quadram Institute in Norwich, said the study had "identified some rather weak associations". 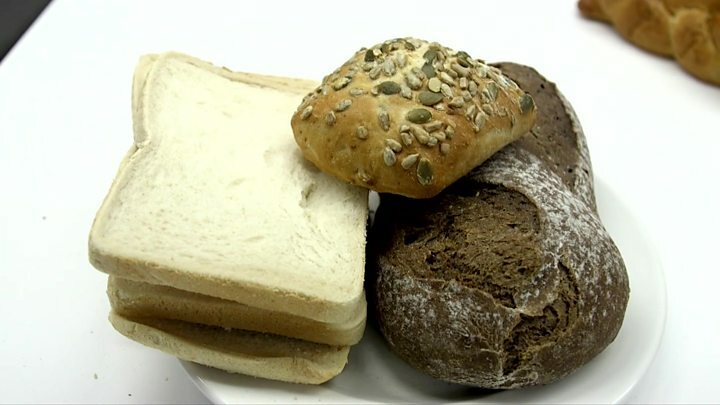 Image caption Does the type of bread you eat make a difference to your cancer risk? He said: "The problem is that the definition of ultra-processed foods they have used is so broad and poorly defined that it is impossible to decide exactly what, if any, causal connections have been observed." For Prof Tom Sanders at King's College London, the definition of ultra-processed foods throws up too many quirks. "This classification seems arbitrary and based on the premise that food produced industrially has a different nutritional and chemical composition from that produced in the home or by artisans. This is not the case," Prof Sanders said. Martin Lajous and Adriana Monge from the National Institute of Public Health in Mexico, warned "we are a long way from understanding the full implications of food processing for health and well-being". They said the study was simply "an initial insight".